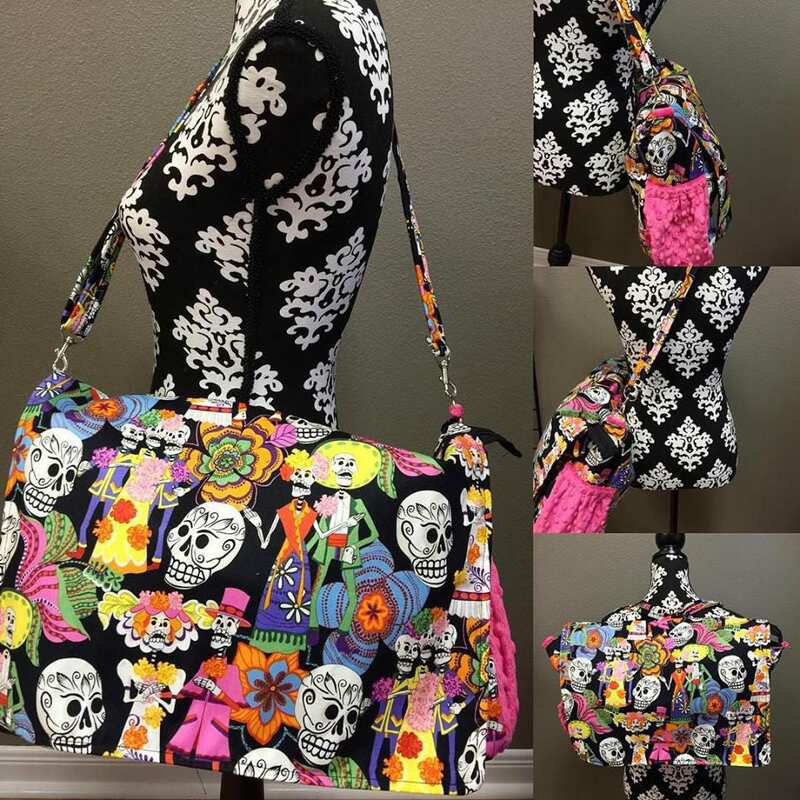 Sugar Skulls, Diaper bag. Messenger style, converts to backpack. Any fabric you want. 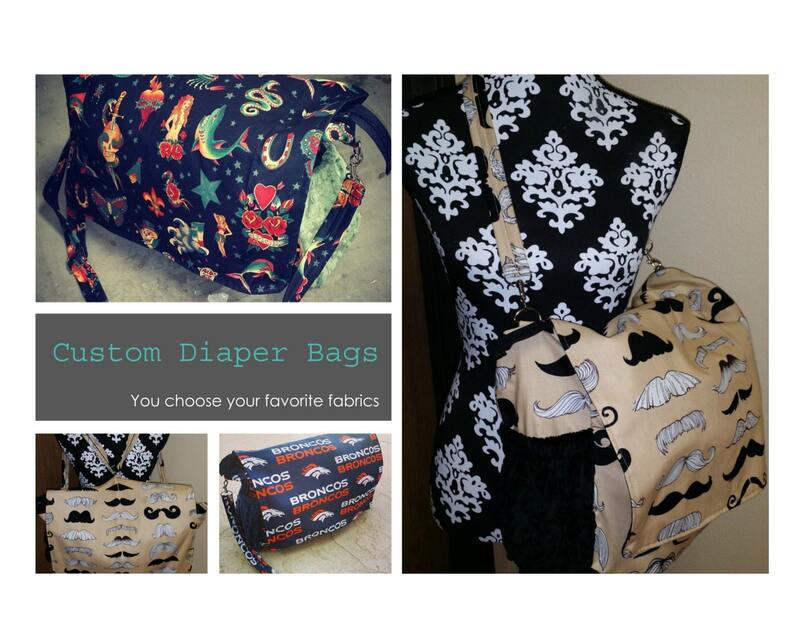 We all want a diaper bag thats cool...Why not create your own! 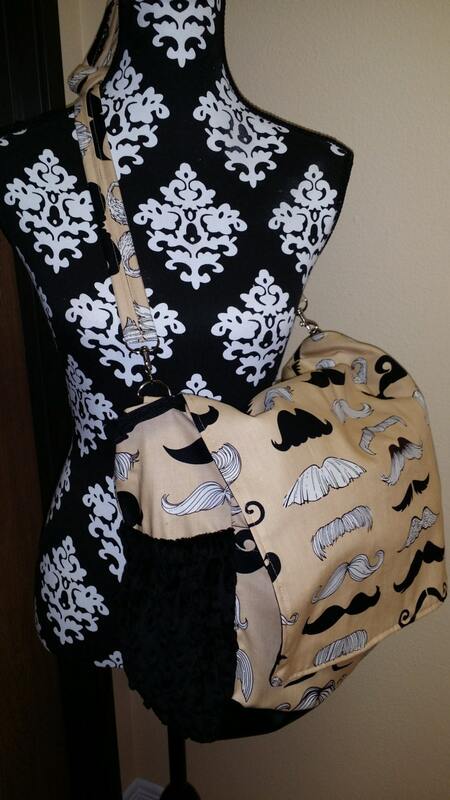 Our messenger style diaper bag pattern converts to a back pack. Great option for Daddys when its their turn to carry! Our strap is adjustable, so you can shorten it or make it longer. In less than a minute, you can remove straps, relocate, and back turns into backpack. 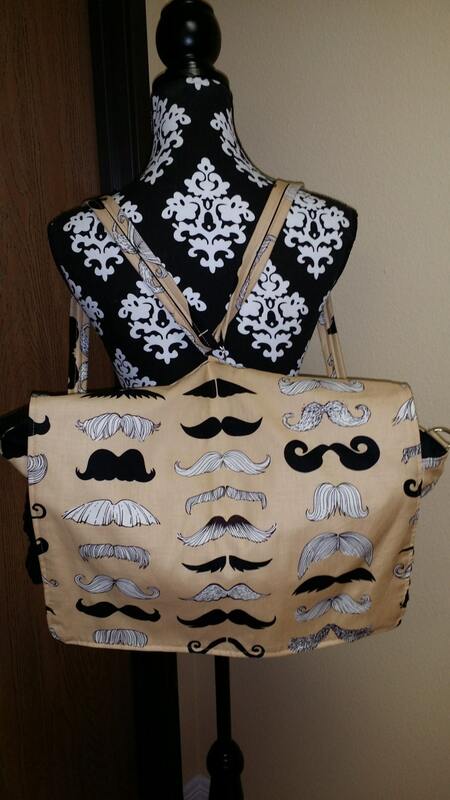 We can use cotton, minky, whatever you want...send us your favorite fabric...This bag has 2 outside bottle pockets and the inside is lined with pockets. Inside of bag is cotton lined. 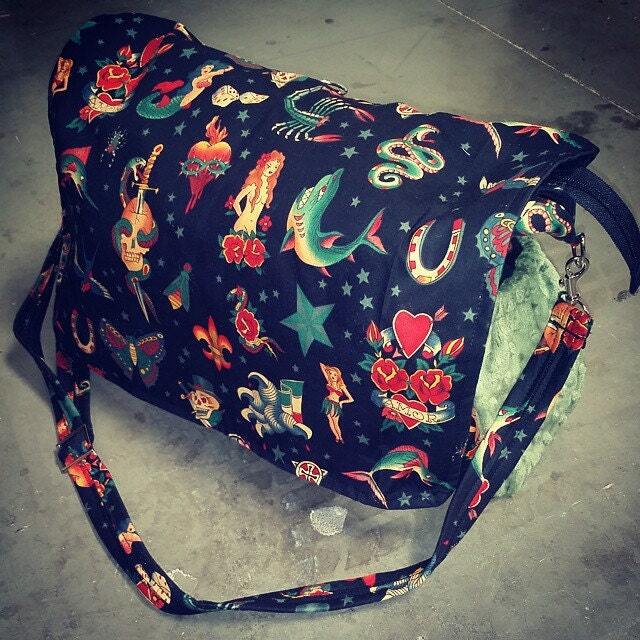 Bottom of outside of bag is lined with vinyl so you dont have to worry about wear and tear. 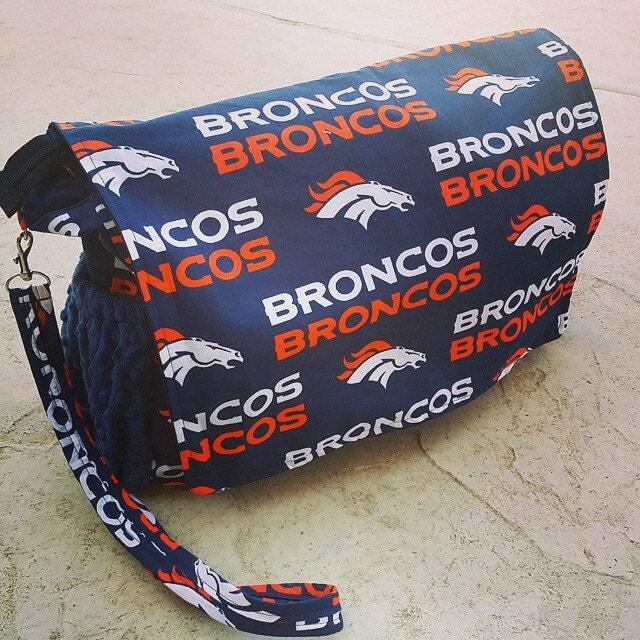 Loved bag very well made would definitely buy another one.